The United States Embassy in Tirana warned its citizens living in Albania to be cautious on Saturday's opposition protest. Us Embassy say that although the Embassy is not concerned about any serious threat, the May 13 protest may also be relocated to other cities. 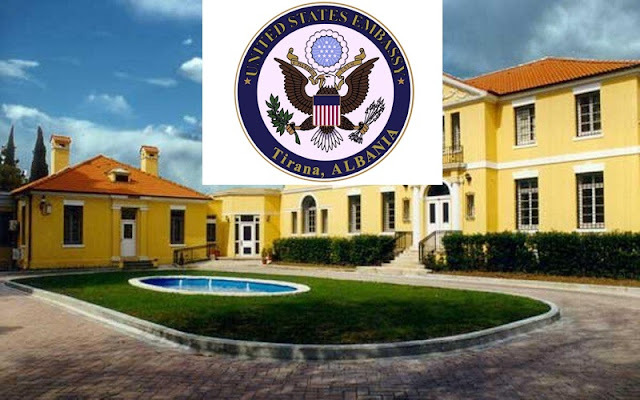 "The American Embassy in Tirana informs American citizens that a major political protest is scheduled to take place on 13 May 2017, which begins at the headquarters of the Albanian Democratic Party and ends before the Prime Minister's Office. Road traffic may be affected by the protest. Please follow media reports and change plans for that day. The US Embassy is not concerned about any concrete threats to US citizens or interests. The Embassy reminds US citizens that even peaceful demonstrations may return to confrontation," the Embassy said. Further, the United States Representation in Tirana asks its citizens to avoid protest.